Chris Farlow has over 19 years of experience as a professional in the construction industry. While earning his degree in Construction Engineering Technology at the University of Southern Mississippi, he also worked with his hands in the field as a framer, slab laborer, trim carpenter, and painter. After receiving his degree, he immediately accepted a position as construction manager in the residential construction industry, which is his passion. Chris aggressively worked through the ranks with various National Home Building Companies before deciding to establishValére Homes. He has directly built or managed the construction of nearly 1600 homes located from Pensacola, FL to the Mississippi Gulf Coast. Chris currently holds a Residential Builder’s License in Mississippi and Alabama, as well as a Certified Builder’s License in Florida. These experiences have helped him develop into a seasoned expert and leader in the construction industry. 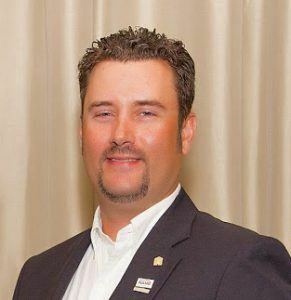 Chris serves as a Local Director for the Baldwin County Home Builders Association, State Director with the Home Builders Association of Alabama, and a National Director for the National Association of Home Builders. He lead the Baldwin County Homes Builders Association as a Local President in 2016.